The Addicts’ very own internet show! Or something like that…. Addicts Live! is our live stream (video) show/podcast. Where we talk about what’s going on in the game, you guys can ask questions directly to us and we’ll answer them live, and we’ll have some fun games/contests/discussions maybe not so TSTO related. Here’s the place where you can catch the re-run “dvr” version of the show…in case you couldn’t make the live stream or you just want to re-watch the fun! 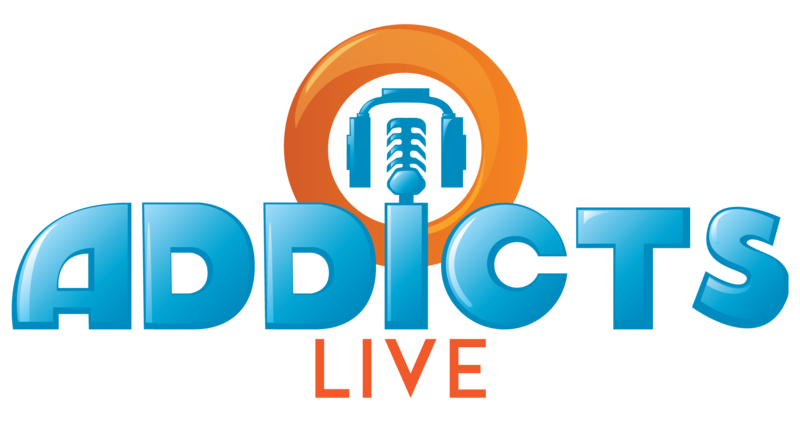 You can also subscribe and download to Addicts Live! via Podcast from Apple Podcasts, Google Play, or listen to it by clicking the audio link in the show post below! It’s Christmas, It’s Christmas! Christmas has finally arrived in Springfield, don’t you just love the snow?! In this episode, we’re talking all things Christmas in TSTO. We’re breaking down the latest event to hit our games, talking flashback characters, and giving our thoughts on the Multi-Event. So drop those snowballs, and grab your Santa hats and tinsel, you won’t want to miss this! –Episode 36- But Is It Hallo-Richard Enough? 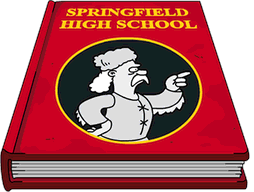 Dark screens, murky waters, possessed characters running around…looks like it’s time for Halloween in Springfield! But after last years magical disaster is this year’s event Hallo-weenie enough? Join us as we discuss the Vampires, Mummies and Werewolves of the 2018 Treehouse of Horrors event! In this episode we’ll be discussing Halloween, insanely high prize goals, premium purchases, Patric’s calendars, and more! 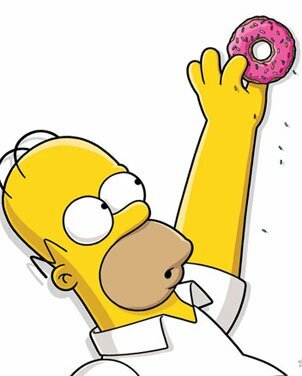 Plus we’ll share our thoughts on The Simpsons Season 30! Another day, another update! There’s always something going on in TSTO. In this episode, we’ll talk all about those updates! Poochie’s mini-event, wrap up Itchy and Scratchy Land and we’ll rank the best events from the first half of 2018. Plus, we’ll have a little fun speculating on what could be next in TSTO! It is teaser time in Springfield! In this week’s episode, we’re talking offshore banking, Krusty losing his shirt and the latest teaser released about the all-new Itchy and Scratchy Land event! Plus, we’ll be talking EA’s rollback bug “solution” options. –Episode 30- He’s a Jerk, So Does Anyone Really Care Who Shot Mr. Burns? A bug is spreading like wildfire through Springfield! As many players are experiencing the dreaded Rollback Bug in their pocket-sized Springfield’s. Seems more and more players get impacted by it each day. But just how many are impacted? What’s the cause and effect of this bug hitting Springfield? Who will be next? Join the Addicts team as we discuss this plague-like bug and your reaction to it! Plus we’ll be breaking down Act 2 of The Springfield Jobs event, and as always we’ll also be fielding your questions! The booze is out of Springfield! It’s a battle of Homer vs. the 18th Amendment, with whiskey on the line! In this episode, we’re breaking down the latest mini event to hit TSTO (Homer vs. the 18th Amendment), discuss how these prizes are WAY better than the last major event’s prizes and see if Patric breaks out into his golden snitch gear! –Episode 25- Battle Royale or Royal Disaster? In this episode the Addicts breakdown each and every event that hit TSTO in 2017 (Major, mini and non-event). Plus we shared our takes on the good, bad and ugly for each. And we even take a little time to give some speculation on what 2018 may bring in TSTO! –Episode 16- Halloween Magic or Mayhem? In this episode, we talk about the new Magical Halloween Event, Break down our thoughts and analysis if a Harry Potter theme hits the right tone or if it’s overplayed, plus we’ll break down our thoughts on Season 29 of The Simpsons so far and of course, we’ll be fielding your questions! In this episode, we talk about the County Fair Mini Event, Season 29 of The Simpsons, breaking down our thoughts of what Halloween 2017 may bring and of course we’ll be fielding your questions! In this episode, we discuss the winding down of the Homerpalooza Event, speculate on what’s next, talk about how Patric ticked off so many Weird Al Fans and of course we’ll be fielding your questions! In this episode, we discuss the Homerpalooza Event, bracket battle fun, celebrities in Springfield and of course we’ll be fielding your questions! So join us live for all the fun! In this episode, we discuss the Time Travel Toaster Event, the fathers of The Simpsons (in honor of Father’s Day tomorrow) and of course we’ll be fielding your questions! So join us live for all the fun! In this episode, we discuss the recent Pin Pals mini event, the mothers of The Simpsons (in honor of Mother’s Day tomorrow) and of course we’ll be fielding your questions! So join us live for all the fun! In this episode, we discuss the winding down of Secret Agents, ponder if EA is running out of ideas, find out if “May Flowers” are on the horizon and of course we’ll be fielding your questions! In this episode, we discuss the recent Secret Agents Event in TSTO, find out if EA is spoiling themselves, have a little foolish fun (like we do every episode!) and of course we’ll be fielding your questions! In this episode, we discuss the recent Rommelwood Academy mini event, discuss if the end of TSTO is near, find out who drank all the green beer and of course we’ll be fielding your questions! In this episode, we discuss the Around the World Event as it comes to a close, things we would do differently if we ran this event, some other fun theories and thoughts and of course we’ll be fielding your questions! In this episode, we discuss the recent Lunar New Year Mini Event, talk about our initial reactions to the Around the World Event and making our Superbowl predictions. Plus we’ll be fielding your questions! In this month’s episode, we discuss the recent Homer the Heretic Mini Event, talk about the Winter Blues in Springfield & What might be coming next. Plus we’ll have a surprise announcement just for the Addicts Live! viewers, so join us for all the fun! In this month’s episode, we discuss the recent Winter Event, reminisce about episodes of Simpsons holidays past, talk about some SPOILERS for future updates and more! Plus there will be festive singing and dancing, as it is our holiday extravaganza episode! Join us for all the fun! In this third episode, we discuss the recent Thanksgiving (Hunting) Event, talk about what we’d like to see in a Christmas Event, discuss what this season of being thankful and giving means to us and of course test the Addicts knowledge with a fun foodie quiz! In this very first episode, we discuss the TSTO Sci-Fi Event, talk about what’s to come in TSTO and test the Addicts knowledge with a fun “Simpsons Did It!” quiz!